Serums for me are that little extra you can do for your skin. And it is that little extra that can make a huge impact and deliver great results. 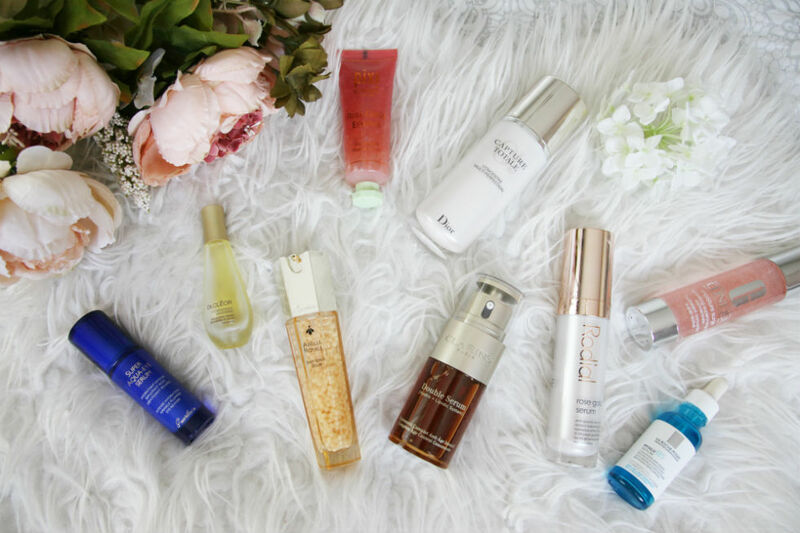 This article is all about the products that are worth to try and I decided to include some great products that may not be marketed as serums however I use them in a similar way in my skincare routine. I would usually use serum just before applying my moisturiser and I love using serums in general. I firmly believe they may add something extra that your skin may need. As the name suggests this is a serum product for your eyes however I love that it is not heavy on your eyes so use it instead of an eye cream very often. I have seen results straight away and also helps when you feel very tired. This feels like oil and I use it mainly when I feel extremely run down as it gives me a sense of aromatherapy facial massage. It constantly puts in in a relaxing mood as well as hydrates well. Great products for mums especially as it seems to sooth not only your skin but your mind which you need after busy day with your kids. If you are a fan of rose you will be in love. The consistency is great too and it just different to all the other products here. It looks pretty too. This feels more like a cream so I use it sometimes on its own however I have been very happy with the product for few years now and it is that thing giving you a touch of luxury. I have used this only for about two months but it is as good as most Guerlain products. I always use it when I use cream or oil afterwards. It feels very light, it smells great and really gives your face lovely glow. Such a great product and so many women in my family love it too. I was using it a lot for a long period of time last year and it really delivers. The skin feels and looks different each morning. One of my best friends adores this products and her skin looks always perfect. This is another great product by Rodial. It almost instantly works magic on your skin. I use it often before applying makeup as the skin really looks different with it immediately. This is not technically a serum but I use it when I feel my skin needs that extra touch of hydration. I often bring it on trips as when I am in the cold or hot environment the skin needs to stay heavily hydrated and this is what gives my skin what I need. This must be my number product by this brand. Although it only launched last month I got the opportunity to use it before Christmas and I love it. I use it a lot when I am using my derma roller as it helps skin to recover over night. It has got fabulous consistency too. And let me know if you tried any of these or you have your own hero serums that I should test too. Pletova sera jsou skvelym dodatkem v peci o plet. Je spousta lidi, kteri sera nepouzivaji, ale ja v posledni dobe rada experimentuju. Do tohoto clanku jsem zaradila i produkty, ktere nejsou ve sve podstate sera, ale ja je tak pouzivam, jeste nez nanesu krem ci olej. Jsou to super produkty, ktere dodaji vasi pleti neco navic a podle me cim jsme starsi tim vice nase plet vyzaduje. Jak uz napovida nazev, tohle je serum na ocni okoli a ja ho casto pouzivam misto kremu. Je to lehoucky produkt, ktery krasne hydratuje a jsem s nim velmi spokojena. A hlavne, kdyz me pali oci unavou. Tohle je olejove serum, ktere pusobi stejne jako olej a nejradsi ho pouzivam po narocnem a unavnem dni. Dodava mi pocit relaxace a pusobi aromaterapeuticky. A navic k tomu krasne hydratuje. Pokud mate radi produkty, ktere voni jako ruze, tohle je pro vas idealni. Ma lehkou a zajimavou konzistenci a krasne vypada. Jsem s nim take velmi spokojena. I kdyz tohle neni uplne jako serum, ja tento produkt pouzivam stejnym zpusobem jako serum a pote nanasim krem. Je to produkt, ktery mam v oblibe uz nekolik let. V me sbirce je tohle serum spise novinka, ale stejne jako vetsina Guerlain produktu je to vynikajici produkt. Je lehoucky, luxusni a krasne plet rozzari. Ostrilena klasika, kterou jsem hodne pouzivala v minulem roce a pouziva ji take hodne zen v nasi rodine. Jedna z mych nejlepsich kamaradek na nej neda dopustit, stejne jako ja. Dalsi pecka od Rodialu, ktera okamzite prinasi vysledky a prave z toho duvodu tohle serum casto pouzivam pred nanasenim makeupu. Drobnejsi vrasky pak nevypadaji tak drsne po naneseni makeupu. Je to skvele serum. Dalsi produkt ktery neni ve sve podstate serum, ale ja jej tak pouzivam. Casto si ho beru na cesty, kdy je treba vice hydratace a je vytecny. A pusobi dlouhodobe. Tohle je temer jiste muj nejoblibenejsi produkt od teto znacky a z tohoto vyberu je druhy nejlevnejsi. I kdyz na trh byl uvedem teprve minuly mesic, ja mela to stesti jej pouzivat uz v prosinci minuleho roku a okamzite jsem se zamilovala. Jelikoz ma regeneracni ucinky pouzivam hlavne v dobe, kdyz pouzivam domaci derma roller. 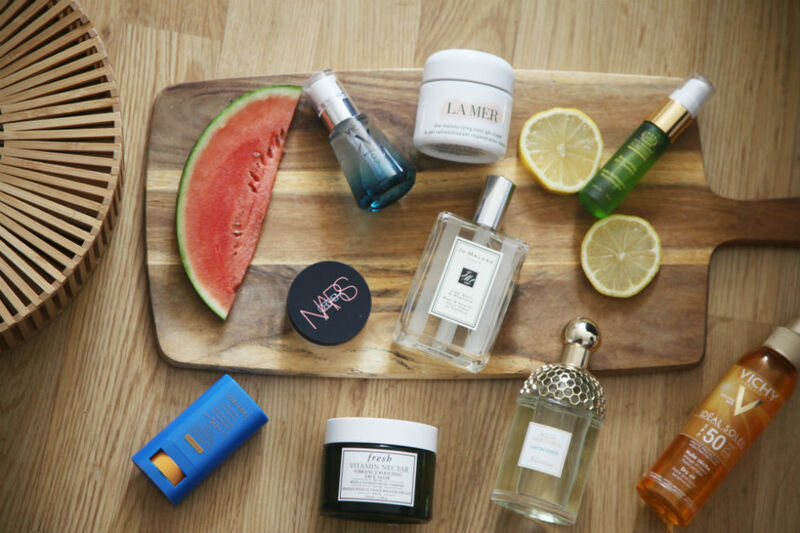 I have been planning this post for sometime and I finally put together a list of my favourite masks. 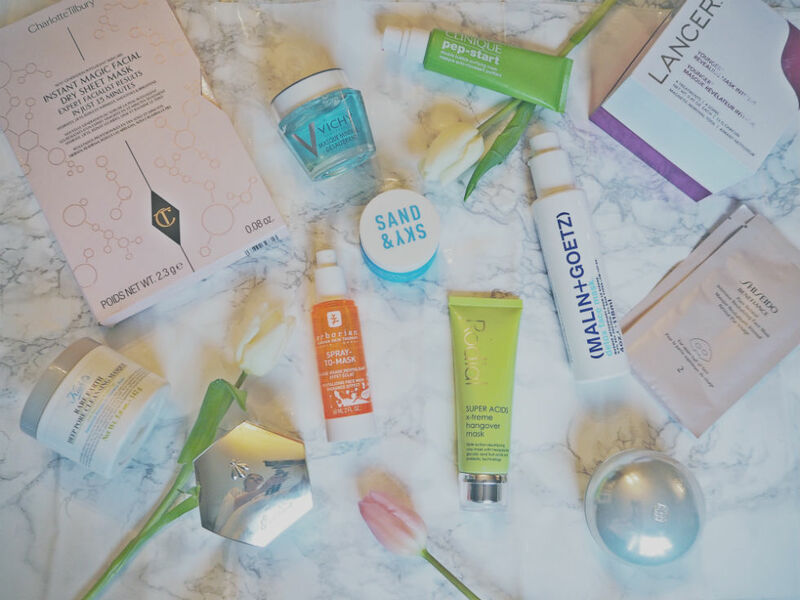 Using masks is that little extra you can do for your skin and for me it is all about relaxation, sometimes about quick fixes. I am at the point when a cream and toner is just not enough so I want to make sure I always look after my skin in the best possible way especially when your child does not let you to have good night sleep. Tento clanek jsem planovala delsi dobu a konecne se mi ho podarilo dat dohromady a je o mych oblibenych pletovych maskach. Pouzivani masek patri k memu ritualu, mam pocit, ze relaxuju a delam pro plet zkratka neco vice. Jednou mam pocit, ze je treba hydratace, podruhe zmensit pory. To opravdu zalezi. S pribyvajicim vekem se objevuji vrasky a hlavne unava z nevyspani ( po narozeni Liama) jde na pleti hodne videt. This is a product that got so much hype and I am not surprised. I am a huge fan of sheet masks and I was so curious to see how can it change your skin when it is dry and plus you can use it three times I believe. How amazing? Just put it back in the packet and off we go. There is something about it for sure as I felt the skin looks more radiant and what is even better you can use it over your makeup. So my ideal scenario is when I have makeup during the day and I feel I need a refresh before going out. You can put this one, retouch your makeup and you are ready. Tento produkt jsem chtela hrozne dlouho vyzkouset a je uzasny. Nechapala sem, jak muze byt maska sucha a pritom neco pokozce dodat. Navic se da pouzit i na makeup. Je to dobry produkt a hodi se zejmena na ty dny, kdy mate na sobe makeup pres den a potrebujete trosku pokozku ozivit a pak jenom upravit makeup. Produkt fungujici rychle a efektivne. A uzasne je i to, ze masku muzete pouzit vickrat. Staci ji vratit zpet do baleni a zavrit. Mineral based products have quickly became so popular. And I could not stay behind. This mask is very quick and it hydrates so nicely. I love the texture as well and the instant results. Produkty obsahujici mineraly zacaly byt v posledni dobe popularni a taky jsem jim minuly rok hodne propadla. Tahle maska je skvela na hydrataci a je rychla a navic da i vysledky. I love this product so much. I always take it when I travel as even if you are going on quick rush trips you manage to squeeze this one in and I love using it to prep my skin before putting on makeup. It literally takes few minutes but the skin feels amazing and the bubbles are so much fun. Tento produkt jsem si okamzite zamilovala, beru si ho casto na kratke cesty, protoze i kdyz mam nabity program, staci ji pouzit opravdu kratkou dobu. Je to opravdu rychla maska a me se nejvice osvedcila ji pouzit pred tim nez si nanesu makeup. Krasne plet pripravi a ve finale vse pak vypada jinak. This is a pure luxury and although it is more expensive than most products in the market it will totally steal your heart. I looooove this product so much but keeping it for rainy days. It is so innovative and actually fun to use as it is a magnetic mask so after the application you take it off with a special magnet included in the box. No other mask gives such a smooth texture to your skin instantly. Tahle maska je luxus a to myslim vazne. Je ale take nejdrazsi, ale pokud mate dostatecny rozpocet, urcite ji zkuste. Je to magneticka maska a sundava se pomoci magnetu, ktery je jeji soucasti. Je to docela zabava ji aplikovat, ale trva to dele. Kazdopadne mi nikdy zadna maska nedala jemnejsi texturu pleti hned po pouziti. I have been using this product for many years and it used to be my go to mask especially when I had breakouts. It really works magic on your pores and gives you that deep cleaning effect. Definitely one of my old times favourites. Tuhle masku pouzivam uz par let a hlavne mi pomohla, kdyz jsem mela horsi plet a vice akne. Krasne cisti pory a ma takovy ten cistici efekt. Jedna z mych oblibenych klasik. You will love everything about this. I love the pot, the brush for application and the colour too. This is a hit from Australia and I am on my second pot. It really tightens your skin, cleans your pore and gives you radiance. Tahle maska by se vam mohla opravdu libit. Zamilovala jsem se jak do baleni, tak do stetecku na aplikaci. Je to velky hit z Australie a je to maska z ruzoveho jilu. Krasne stahuje pory a plet hned rozzari. Uz mam druhe baleni. At the moment I call this mask Queen of the masks. Not only it gives me a sense of luxury but it honestly works. When I am very very tired and my lines are visible and in general I look dull I go for this one. And I personally love to just leave soak into your skin. Little miracle. Tehle masce ted rikam Kralovna. Nejen ze mi dava pocit luxusu, ale opravdu na mou pokozku zabira. Pouzivam ji casto, kdyz jsem unavena, mam pocit, ze mi vzdy vylepsi drobne vrasky a taky plet po ni vice zari. Ja osobne ji necham vsaknout do pokozky stejne jako krem. When I got my hands on this mask I could not way to try it. You spray it on. Yes you read it correctly it is in a spray. It is Korean mask and I love trying out Korean beauty products in general. And it is fantastic. It is so easy to apply and it hydrates so well. Another great product out there. Kdyz jsem tuhle masku dostala, tesila jsem se moc az ji vyzkousim, je totiz ve spreji a nikdy predtim jsem masku ve spreji nezkousela. Je to korejska maska a ja obecne miluju Korejske kosmeticke produkty. A je opravdu skvela, hlavne co se hydratace tyce. This is another of my old time favourites. I have been using it for few years and love it. It really is hangover mask. And I often use it after a night out :) It works magic on your pores and dullness of your skin. Tohle je dalsi maska, kterou pouzivam uz par let. A opravdu si ji davam casto den po te, co jsem byla vecer venku a pila. Krasne plet rozzari a stahne pory. This is the newest addition to my bathroom shelve but I am in love already. It is so easy to use. You can leave it on only for 5 minutes and that is all. It gives me nice radiance and hydration. I loved applying makeup straight after. The final effect was brilliant. Tohle je muj nejnovejsi prirustek a jsem moc spokojena. Je to velmi dobra maska a take rychla, staci vam pet minut. Po pouziti byla plet rozjasnena a hezky hydratovana. Krasne pripravila plet na liceni. This is one my hero products in general. I love adding this mask few times a month to my skincare routine at night and just let it work over night. I often use it after I have used my derma roller and there is a huge difference in the morning. I would also say it is a great mask for lazy people that do not want to bother with the whole application and taking it off process. I simply love this product. Tohle je jeden z mych nejoblibenejsich produktu. Rada ji pouzivam nekolikrat do mesice a necham pres no hezky pusobit. Casto ji pouzivam, kdyz pouzivam muj domaci derma roller a rano to jde skutecne videt. Rekla bych, ze je to vyborna maska pro linejsi povahy, ktere nebavi cely proces aplikace a odstranovani pletovych masek. One of my favourite sheet masks ever. It is great it comes in two parts if you only want to target one area. It works magic instantly and leaves skin looking very dewy and fresh. Shiseido is really an amazing brand when it comes to face masks. Jedna z mych nejoblibenjsich platynkovych masek. Je na ni super, ze muzete pouzit bud spodni nebo horni cast, vlastne se muzete soustredit jen na urcitou problematickou cast. A opravdu zanecha plet krasne stavnatou a svezi.